To Go To or Return to the NSC Website, Click on www.nsc24.com . Click on a Box below for a related IMMUNITION Report or Subject. Join Frank on Twitter for thoughts and comments. Read an important Health Treatment Notice about personal health issues. iabetes mellitus is a serious dietary disorder suffered by 29 million people in the U.S. alone, with millions more pre-diabetic. Why do we say diabetes is epidemic? Because rapidly increasing rates of obesity and lack of exercise are major causes, with an amazing 30% plus with diabetes unaware of their dangerous diabetic condition! Diabetes is already the 6th leading cause of death and a major cause of blindness and amputation in America. You are at risk, but knowledge can bring obtainable solutions for prevention, control or even resolution. Be aware, if you always stay what you are, you can never become what you could be! To resolve diabetes, most of us must change our lifestyles, including diet, exercise and supplementation. Set your priorities as you read these words to become what you can be and then be patient and determined in accomplishing your goals. iabetes occurs when insulin, a hormone produced by the pancreas, is not produced (Type 1) or is not delivered into the body’s cells in adequate and proper amounts. Insulin is the controlling factor for the amount of glucose (sugar) in the blood and the rate at which glucose is absorbed into the blood where it eventually is delivered and enters the cells to create energy essential to life. After a meal, a portion of the food eaten is broken down into glucose, a sugar. The glucose then passes into the bloodstream and by the presence and actions of the hormone insulin, becomes glucose or blood sugar that is then transported to and into the liver and ultimately the body's cells. A malfunction in this process related to insulin levels, sugar conversion to glycogen in the liver and glycogen absorption into the body creates the forms of disease known as diabetes with associated obesity, high blood pressure and high cholesterol levels. Normally, the pancreas produces the right amount of insulin to accommodate the quantity of sugar processed for cell delivery. However, if diabetes occurs, either the pancreas produces no insulin (Type 1), or insufficient insulin and the cells do not respond normally to the insulin delivered (Type 2). Please note many researchers now believe diabetes is not just a high blood sugar issue, but an insulin resistance challenge. Drugs to help control high blood sugar levels (diabetes symptoms indicator) are not enough, but lifestyle changes including dietary restriction of sugars and carbs, moderate exercise to burn off excess carbs and sugar and supplementation to help control sugar spikes from bad eating habits that convert often to adipose fat in the belly area are essential. Periodic reasonable fasting is beneficial, monitored and approved by your professional health care provider. High blood sugar levels due to lack of insulin, insulin resistance or failure of delivery of adequate glucose into cells can damage the (1) eyes - leading to diabetic retinopathy and possible blindness; (2) blood vessels - increasing risk of heart attack, clotting leading to stroke and peripheral artery obstruction; (3) nerves - leading often to diabetic neuropathy in limbs, foot sores and even possible amputation, (4) kidneys- leading to excess production of angiotension that increases blood pressure and too often creates kidney failure, (5) impotence including polycystic ovary syndrome, (6) digestive problems for many, and (7) high uric acid (gout), . Weight control through proper diet with regular fasting, combined with moderate exercise and needed nutritional supplementation are the first lines of defense against diabetes and the steps to resolving insulin resistance that is the cause of diabetes. Setting personal priorities with discipline in eating and exercise from youth are the best forms of diabetes prevention. If diagnosed, control of blood pressure, diet and blood glucose levels, plus regular exercise, screenings and check-ups, help reduce risks of complications and can be the road to a disciplined resolution of diabetes Type 2 over time. .
wo major forms of diabetes include Type 1 classified as insulin-dependent diabetes mellitus (IDDM - juvenile-onset diabetes). Type 1 affects about 10% of those diagnosed and is the most serious form of diabetes based on health risks. A precursor to Type 2 Diabetes is designated as hyperinsulinemia described later in detail. Type 1 diabetes is an autoimmune disease in which the immune cells of the body attack and destroy the insulin-producing cells of the pancreas. Without adequate insulin for processing blood sugar, high levels of glucose sugar continue to circulate in the blood, depriving the body’s tissues of needed levels of glucose required for proper cell function, energy and ultimately good health. Type 2 diabetes is non-insulin dependent diabetes mellitus (NIDDM - adult-onset diabetes), usually, but not always, occurring in adults after age 30. In Type 2 diabetes the pancreas produces insulin, but in insufficient amounts. Most current thoughts are also the cells are resistant to insulin delivery into the cells. However, cutting-edge research now now contends insulin helps control blood sugar levels with ever increasing amounts injected, but the excess glycogen is then stored in the tissues as stored fat, creating obesity in many. Type 2 diabetes is characterized by high blood sugar and insulin in the blood due to improper intake by the cells with excess glycogen/sugar in the tissues when forced out of the blood stream by drugs and insulin. This imbalance in the blood, liver and tissues causes reduced energy, blurred vision, itching due to vaginal yeast infection, weight issues, extreme thirst, slow wound healing, fungal and bacterial infections, fatigue, nausea and frequent urination. Type 2 diabetes is commonly associated with being overweight, especially around the abdomen area. Watch your diet – not your waist! While Type 1 and Type 2 diabetes are most common, there are three additional less common types of diabetes designated gestational, secondary and impaired glucose tolerance (IGT). How is Diabetes Diagnosed and with What Test? he basic criteria for being classified as a Type 2 diabetic is to have a fasting blood sugar level greater than or equal to 140 mg/dL after an overnight fast on two separate occasions. The American Diabetes Association considers a fasting blood sugar of greater than 126 mg/L to indicate diabetes. However, the spikes and fluctuations present in fasting daily blood glucose monitoring (126 mg/L normal) are eliminated by more reliable and representative test to determine status, including the fasting insulin level and hemoglobin A1C test. If you do monitor daily, test consistently about one hour before the evening meal. If taken in the mornings, the production of glycogen in the body during sleep will distort the reading for glucose or blood sugar levels to read higher than actual. Do not depend solely on daily blood glucose monitoring and periodically if concerned have fasting insulin and Hemoglobin A1C testing every 90-120 days. Your physician will also probably take a urine sample to be tested for glucose and ketones. Ketones are acids that collect in the blood and urine when the body uses fat instead of glucose for energy. Fasting insulin levels are considered by many physicians to be the best test with a normal range of 5 to 15 uUnits/ml. However, if your test level for fasting insulin is above 4, many who specialize, including Dr. John Young MD, consider your level is too high and indicating you are on the path to hyperinsulinemia and Type 2 diabetes. A level of 15 uUnits is defined by most physicians as hyperinsulinemia. In the pancreas the beta cells produce insulin which in turn stimulates glucose (sugar) uptake from the blood to the body's cells. When your body's cells resist the insulin delivery into the cells, insulin resistance (IR) occurs. When insulin resistance is present, the pancreas produces more insulin to attempt to complete proper delivery amounts into the cells. When the insulin is in excess as tested by the fasting insulin test, hyperinsulinemia or Type 2 diabetes is indicated. A second common test is Hemoglobin A1C (HbA1c) or a test measuring glycated or glycosylated hemoglobin over a 90 day period to reflect average blood sugars. This test is based on the fact glucose in the blood binds to hemoglobin molecules within red blood cells. The concentration of glucose in the blood is measured by the amount of glucose bound to hemoglobin. The three month period of testing coverage is determined by the normal life span of a red blood cell being 90-120 days. Note while fluctuations are smoothed by the time factor, the HbA1c test is weighted by most recent glucose values for the past 30 days (50%); the preceding 60 days (25%) and the preceding 90 days (25%). The weighting bias to more recent levels is due to the natural levels of destruction and replacement of red blood cells in the body. A level of 7 or below is considered by most physicians to be normal for a Hemoglobin A1c level. Other test often performed are the oral glucose tolerance test to measure the body’s ability to process glucose. For monitoring diabetes, the glycosylated hemoglobin (HbA1c) test is used to estimate an average of all blood sugar levels in your body over a 2 to 3 month time period. (1) Totally avoid stimulants such as coffee, tea and soda before the test for 1 hour; (2) Fill 7 identical glasses with 8 ounces of water in each and label the glasses to indicate on separate glasses, “no sugar,” “1/4 tsp sugar,” “1/2 tsp sugar,” “1 tsp sugar,” “1 tsp sugar, “1 ½ tsp sugar” and “2 tsp sugar.” Add the amount of sugar to each glass. (3) Rearrange the glasses, hiding the labels from the person to be tested. (4) Sip from each glass through a straw and write down the amount of sugar you think each glass contains – rinse your mouth with pure water between test glasses. People with Type 2, adult-onset, usually do not notice tasting sweetness until 1 ½ to 2 teaspoons of sugar levels per 8 ounces. lmost everyone with Type I diabetes and more than one-in-three with Type 2, must inject insulin to make up for the person’s insulin deficiency. Insulin used is sourced from (1) pancreases of cows and pigs, with combinations frequent; (2) semi-synthetic, made by converting pork insulin into a form identical to human and (3) recombinant made by using genetic engineering. All insulin helps glucose levels remain near normal at about 70 to 120 milligrams per deciliter (mg/dl). (1) Hypoglycemia or low blood sugar, sometimes called insulin shock, which occurs suddenly if too little food is eaten, a meal is delayed or in the case of extreme exercise. Symptoms include weakness, feeling cold, clammy, shaky with extreme fatigue and being pale. (2) Hyperglycemia, or high blood sugar, occurs when too much food is eaten or not enough insulin is taken. Thirst, frequent urination, nausea and high sugar in the urine and blood are symptoms. (3) Ketoacidosis, in severe form diabetic coma, develops when insulin and sugar are out of balance so that ketones accumulate dangerously in the blood. As a note, beta 1/3,1/6 glucan contributes to nutritional normalization of immune cells which can promote increased production of the cytokine, interleukin 1, often associated with enhanced insulin production in the pancreas. Additionally recent research indicates beta 1/3,1,6 glucan can help minimize food spikes from excess eating that produce excess insulin that is then forced into the tissues from the blood stream to create excess fat in the tissues and potential obesity. (See details at www.betaglucandiabetes.com . Diet and exercise are essential elements in diabetes prevention and treatment. Protein, preferably whey protein processed at less than 130 degrees to preserve nutrients, is essential in amounts equal in grams to 1/2 the body weight, with total amount not to exceed 120 grams per day. Less than 10% of all calories should be from fat; with 30-35 grams of fiber daily and eat no more than 300 mg of cholesterol daily. Add a pH lowering supplement and flax seed oil as a low pH is essential to diabetes management and avoidance. Drink 1/2 your body weight in ounces of water daily and absolutely no soft drinks including those sold as "diet" sodas. A balanced diet emphasizing legumes, vegetables, whole grains and fiber have positive influences on sugar in the bloodstream. Avoid sugars such as glucose, dextrose, fructose, lactose, maltose, fruit juice concentrates, high-fructose corn syrup, mannitol and sorbitol. Be aware popular "power" drinks often contain 27-35 grams of sugar per serving and most contain two servings. If you must have a "power" drink, be sure it is sugar free. Restrict alcohol intake and especially mixers such as tonic water that are a high percentage sugar. Eat protein snacks between meals. Nutrition researchers at the University of Toronto developed "glycemic index." Foods with a higher glycemic index cause a higher insulin spike than those with a lower rating. High glycemic index foods include, whole milk, frozen desserts, packaged flake cereal, hot cereals and luncheon meat. Lower glycemic index foods include fresh and leafy green vegetables, 100% whole grain bread - Ezekiel bread suggested, sweet potatoes, chicken, lean beef cuts, veal, white-fleshed fish and many nuts with almonds and walnuts suggested. Cooking and preparation significantly influence the glycemic index. When shopping in the market, shop the outer perimeter where fresh produce and high protein items such as fresh fish, chicken and lean beef are presented. Dr. Nancy Appleton's book, "Lick the Sugar Habit," is a must read in this area. A proper weight control and exercise program should be determined after physical examination by the primary health care provider. Walking 3 times weekly for 30 minutes and light weight bearing exercise are beneficial. You must stop smoking and avoid alcohol. (4) Thiazolidinediones which control glucose levels by making muscles more sensitive to insulin. The orally administered pure B-(1,3) glucan in mice significantly down-regulated the blood glucose through suppressing the sodium glucose cotransporter SGLT-1 expression in intestinal mucosa. “Meanwhile, pure B-glucan promoted glycogen synthesis and inhibited fat accumulation in the liver...and depressed pro-inflammatory cytokines” according to the report. Glycogen is the principal storage form of glucose in animal and human cells. SGLT-1 plays a major role in glucose absorption and incretin hormone release in the gastrointestinal tract. Incretin hormones stimulate insulin secretion in response to meals. Source: http://www.ncbi.nlm.nih.gov/pubmed/27396408. Excess glucose stored as glycogen can become a fat primarily around the middle. Beta glucan increases the synthesis of glycogen or the breaking down of this complex compound, with the breaking down of excess glycogen a benefit in controlling obesity. Obesity control must be combined with dietary changes and the discipline to lose excess weight, obesity being so dangerous in creating diabetes and the loss of excess weight essential to diminishing diabetes, particularly Type 2. The suppression or minimization of incretin hormone release after a meal nutritionally helps minimize glucose spikes unwanted in diabetes including neuropathy and retinopathy. R-Alpha Lipoic Acid: Antioxidant that improves diabetic neuropathy by improving blood sugar metabolism, improving blood flow to peripheral nerves and stimulating the regeneration of nerve fibers in R-Allpha Lipoic form for greater bioavailability . 100 mg a day suggested. Probiotic: The NSC Pro Probiotic with 15 billion CFU per serving helps lower pH and acidity while providing enhanced sugar management. Combine with NSC MG Beta Glucan with prebiotic Inulin filler to create a synbiotic combination that research indicates increases glutathione production up to 15 times normal to neutralize free radicals especially damaging in diabetes while significantly lowering inflammation. Whey Protein: Low Heat Processed: To both rest and reset the pancreas, protein with maximum nutrients is needed equal to approximately 1/2 the body weight in grams; not to exceed 120 grams a day. The low heat process retains needed nutrients burned away in high heat processing. Berberine: targets a metabolism regulator - the activated protein kinase (AMPK) enzyme. The activated protein kinase enzyme regulates the uptake of glucose by your cells and the synthesis of glucose transporters; thus nutritionally contributing to help move glucose from your blood into your cells, where the body needs the glucose to be for optimum effectiveness..
Gamma-linolenic Acid (GLA) - Found in evening primrose oil, black currant and borage oil. Helps protect nerves and with symptoms such as pain and numbness. Check dosage based on source. Omega 6 oils should be taken in balance with Omega 3 oils and are found in flaxseed oil, pumpkin seeds, walnuts and flax/fish oil. The Omega 3 fats help protect blood vessels and decrease insulin resistance. Gymnema sylvestre: Doctors practicing India’s traditional Ayurvedic Medicine have used this herb for years to lower blood sugar by increasing the efficiency of insulin and supporting the pancreas ability to produce insulin. Use under doctor’s supervision primarily for Type 2 and not as a substitute for insulin. 400 mg daily of standardized extract to contain 24% gymnemic acids suggested. Fenugreek Seeds: The fiber in the seed delays absorption of glucose from the small intestine, resulting in lower blood sugar. Use 5,000 to 15,000 mg of powered seed per day. Chromium Picolinate: Improves needed insulin sensitivity. Double-blind studies indicate improves glucose tolerance in Types I and 2 diabetes. May also lower triglycerides and cholesterols, reducing diabetes complications. Helps control sugar cravings in diet also. 1,000 mcg per day split suggested. Vitamin C: Antioxidant that helps lower a sugar known as sorbital that elevated damages the eyes, nerves and kidneys of diabetics. 2000-3,000 mg daily in divided doses suggested. Vitamin E: Antioxidant that improves glucose intolerance in Type 2 while nutritionally protecting blood vessels from damage. 400 IU daily suggested. Garlic: Decreases and stabilizes blood sugar. Aged garlic is suggested to be used as instructed on the label. Vitamin B6: Frequently low in diabetics – improves nerve disorders due to diabetic complications and glucose intolerance caused by pregnancy or birth control pills. 150 mg daily suggested. CoEnzyme Q10: Antioxidant essential for cell metabolism and present in every cell of the body. 150-250 mg per day. Magnesium (750 mg daily): Diabetics are often low – important to avoiding complications with retinopathy and heart problems. Avoid if suffering from kidney disease. Manganese: (10 mg daily) Mineral needed for pancreas repair and proper glucose metabolism. Vanadium: A trace element that inhibits cholesterol synthesis while improving insulin utilization in moving glucose into the cells and thus improved glucose tolerance. Check labels and use as directed. Zinc: (50 mg daily) Mineral necessary for normal insulin production. Additional Herbs and Spices: Additional herbs and spices that may be of benefit are dandelion, tumeric and bupleurum that help with the digestive organs. To tonify the endocrine system and promote hormonal balance, deglycerized licorice (dgl) and hawthorn are helpful for many. Always review proper dosages and usage limitations for any herb or supplement and inform your primary healthcare provider of usage prior to ingestion. Control your weight by proper diet and exercise because excess insulin creates excess body fat around the abdomen. Eliminate sugar and refined white products in your diet. Diabetes is epidemic, but there is hope by taking charge of your health today! If you can imagine it, you can achieve it. If you can dream it, you can become it - and then, whether with diabetes or other health conditions, you’ll truly be Healthy, Wealthy and Wise! About the Author: Frank Jordan has a post-graduate degree from the University of Texas at Austin and is a co-patent holder on U.S. patents issued or in application related to the immune response in conjunction with researchers at the University of Nevada School of Medicine, Dept. of Microbiology. Frank Jordan's most recent book is "Frankly Speaking, Vol 1" which reviews 50 different common medical challenges with thoughts and suggestions. Jordan also hosts the Healthy, Wealthy and Wise national radio show heard nationally weekdays at 4:26pm on Sirius/XM Ch 131.. 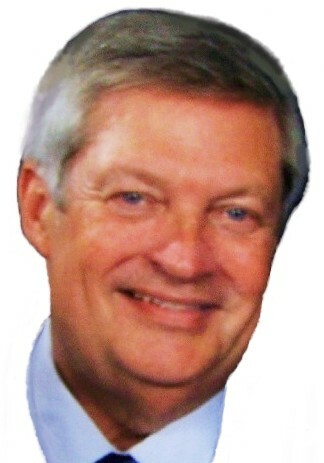 Learn more about Frank Jordan on the web at www.hwwshow.com . The statements in this Report have not been evaluated by the Food and Drug Administration. Any products mentioned are not intended to diagnose, treat, mitigate or prevent any disease. This IMMUNITION REPORTS website (www.immunitionreports.com) is designed to provide accurate and authoritative information with regard to the subject matter covered; however, this website is not intended to be a substitute for a professional consultation with a physician or a qualified health care provider or to offer medical or related professional advice. 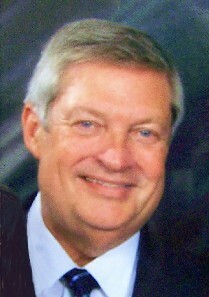 Frank Jordan, contributing authors or employees or independent contractors, specifically disclaim any liability, loss or risk, personal or otherwise, that is or may be incurred as a consequence, directly or indirectly, of the use and application of any information contained on this website nor are they to be held responsible for any errors or omissions in this website. You should not use the information contained herein for diagnosing or treating a health problem or disease, or prescribing any medication. Questions pertaining to nutritional intervention for the prevention or treatment of a disease cannot be answered. Questions oriented to prescribing or diagnosing an illness are best addressed by your personal healthcare practitioner. If you have or suspect that you have a medical problem, promptly contact your personal health care provider. In the event the visitor to this website desires to obtain specific medical advice or other information concerning a specific person, condition or situation, the services of a competent health care professional should be sought and utilized. If you have any medical condition or are taking any prescription or non-prescription medications, consult your medical professional before beginning any new conventional or alternative therapy or discontinuing the medication or treatment you are currently receiving. Information and statements regarding dietary supplements or other products have not been evaluated by the Food and Drug Administration and are not intended to diagnose, treat, mitigate, or prevent any disease.